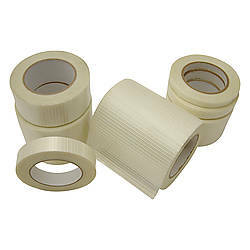 Please note that the latest lot of material received from our distributor uses a much whiter adhesive than previously used for the same JVCC 762-BD Bi-Directional Filament Strapping Tape. 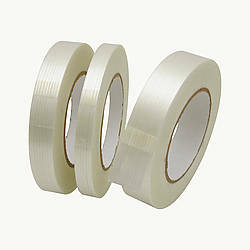 Therefore, the tape will look opaque and not translucent like previous lots. 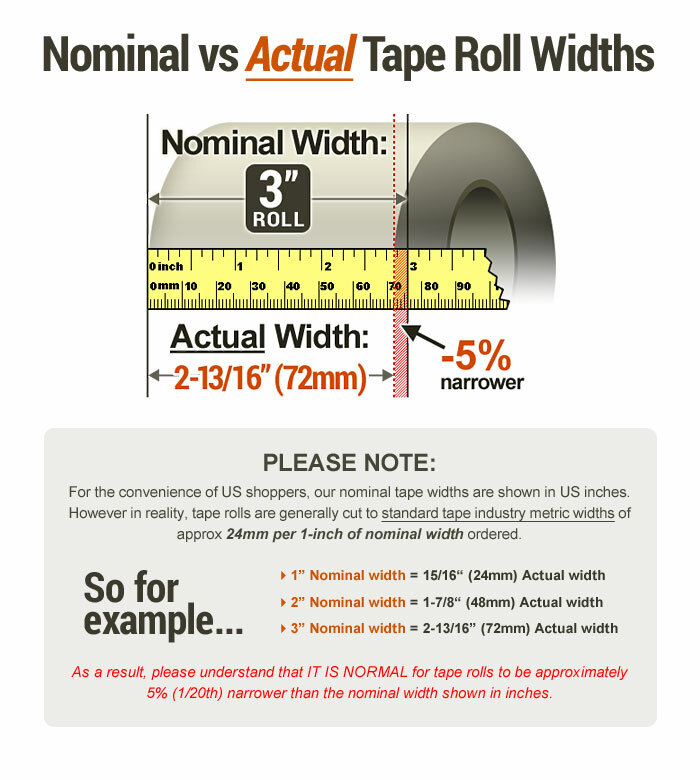 Please see PDF 'Download Technical Data Sheet' link to the right below for confirmation that the specifications have remained the same. 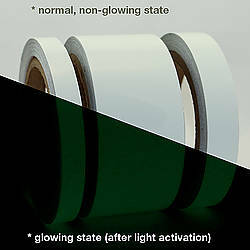 We have labelled the color on the new lot as opaque white. 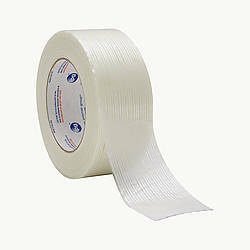 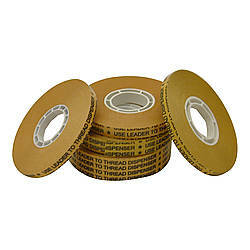 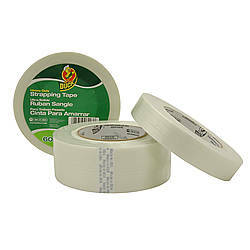 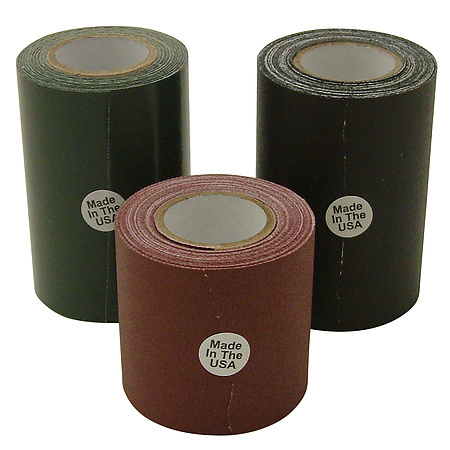 For an industrial-strength job, you need an industrial strength strapping tape. 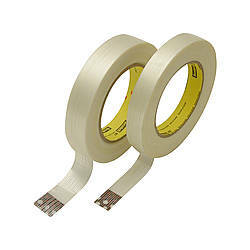 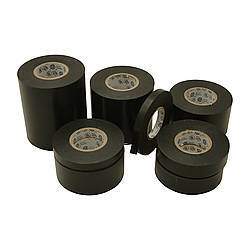 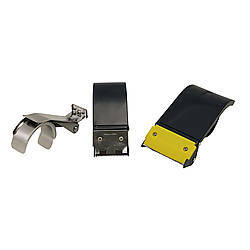 JVCC 762-BD Bi-Directional Filament Strapping Tape (also known as string tape) is a polypropylene tape that features a strong synthetic rubber adhesive that provides 91 ounces per inch of adhesion strength. 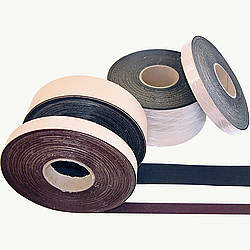 It bonds strongly to many surfaces, from plastics to metals. 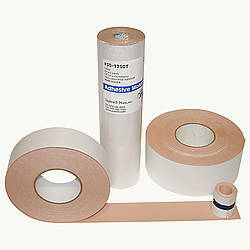 The cross fiberglass reinforcement makes it highly resistant to tears and gives it 155 pounds per inch of tensile strength. 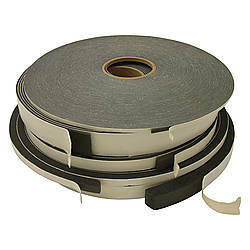 This bidirectional filament tape is extremely durable, designed for high-stress jobs like metal fabrication, palletization and bundling. 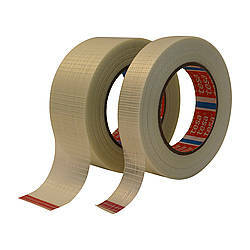 Are you headed to Burning Man or another big festival? 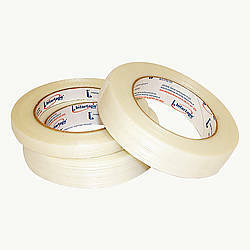 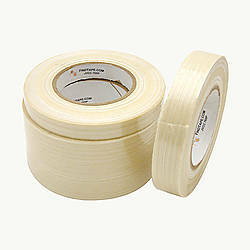 This filament tape is ideal for building your hexayurt shelter. 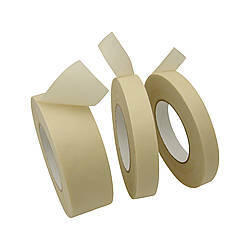 Thickness: 4.7 mils (carrier, adhesive) What is mil thickness?